NLC Admit Card 2019: Below are the admit cards published by NLC - NLC India Limited / web.nlcindia.com. The recent Admit Card issued for the recruitment drive is GETs using GATE Medical Exam Intimation Letter 2019. NLC GETs using GATE Medical Exam Intimation Letter 2019: NLC India Limited has issued the Admit Card on 03 Jan 2019 for GATE Medical Exam 2019. NLC Deputy General Manager Admit Card 2018: NLC India Limited has issued the Admit Card on 31 Dec 2018 for NLC India Limited DGM / ACM / DCM Exam 2018. 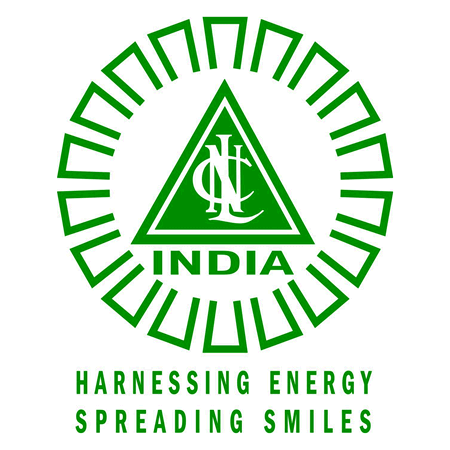 NLC Graduate Executive Trainees Medical Exam Call Letter 2018: NLC India Limited has issued the Admit Card on 19 Nov 2018 for NLC India Limited. NLC GETs Admit Card 2018: NLC India Limited has issued the Admit Card on 28 Sep 2018 for the exam. NLC Executive Engineer & Deputy Executive Engineer Admit Card 2018: NLC has issued the Admit Card on 16 Apr 2018 for Executive Engineer & Deputy Executive Engineer Exam 2017. NLC GETs through GATE 2017 Call Letter 2018: NLC has issued the Admit Card on 07 Mar 2018 for the exam. NLC Executive Engineer & Deputy Executive Engineer Call Letter 2018: NLC has issued the Admit Card on 22 Jan 2018 for Executive Engineer & Deputy Executive Engineer (Electrical for Thermal Power Projects (Advt.No.03/2017). Hindi Translator Gr.I/Trainee Exam Admit Card 2017 (Document Verification): NLC India Limited has issued the Admit Card on 1 Nov 2017 for Hindi Translator Gr.I/Trainee Exam Admit Card 2017 (Document Verification). Executive Engineer Call Letter: NLC has issued the Admit Card on 30 Oct 2017 for the Post Of Executive Engineer (Mechanical / Electrical / Civil / C&i) for Power Station Engineering. NLC has issued the Admit Card on 13 Sep 2017 for Recruitment of GETs using GATE-2017 score (Advt.No.10/2016). NLC has issued the Admit Card on 11 Sep 2017 for the exam. NLC has issued the Admit Card on 06 Aug 2017 for the exam.